With the emergence of cloud or hosted email services I often get asked what the benefits are of an Exchange based mailbox compared to a POP3 based mailbox. This post aims to explain some of the benefits of Exchange compared to what you may be used to using. Exchange provides for anytime, anywhere access to your full email, contacts and calendar from multiple locations and/or clients (Outlook Web Access, Outlook, Entourage for Mac users etc). With POP3, if you download messages to your mailbox–they are stored on the local client–and taken off the server, preventing the ability to view the data elsewhere. (If you elect to ‘keep a copy on the server’ you can only see your Inbox and not any other folders). Exchange provides for an easy way to be able to view multiple mailboxes at once and easily shared and view other local users calendars and contacts. When a change is made in one of the mailboxes / calendars and / or contacts then that change is replicated to all other users. With POP3 there is no sharing or collaboration. Instead of having multiple copies of emails-templates-pictures-etc….one in every mail-box, you can store them all in Public Folders; 1 time, in 1 location, for all users (or select users — using permissions) to access, saving you tremendous amounts of storage space. How often do you backup your emails? If you use POP3 and your hard drive crashes, you will lose all of your email, calendar and contacts data. With exchange, a copy of all of your data is stored on your local client. Another copy remains on the server. If you use Exchange and your computer crashes it is easy to setup email on another computer and all your email, calendar and contact information will be downloaded. You can also view your mailbox through any Internet browser. Stay in contact with your clients and colleagues whether you are in the office, on the road or at home. 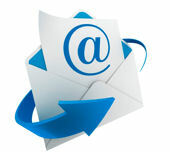 Access your e-mail, contacts, and calendar from your iPhone, Android or other smart phone or tablet. It will also synchronise any changes between all your devices. Full wire-less synchronization does not occur with a POP3 account. DP Computing can help with deciding whether a hosted / cloud based service or an on premise Exchange server is best for your needs. Our Australian based hosted Exchange plans will increase employee productivity and is well worth the cost. Please contact us for more information.